I have never had a smart phone. I may never have a smart phone. And I am happy. You might think this is because I am a Luddite. Wrong! I have an iPod–a really fancy iPod. A lot of people don’t realize this, but iPod Touches essentially function like an iPhone. I can browse the internet on it. I can read email, browse Facebook, and tweet. I can take pictures (see above!) and film video in 1080p. Basically, I can do everything you do on your iPhone except: (1) make standard phone calls, (2) get maps on the fly, and (3) have roaming internet. Even these three exceptions aren’t that bad. I have a crappy phone to make calls, and I could use Facetime/Skype to call on my iPod if I really wanted to. I pre-load maps on my iPod before leaving my house, so I still use my iPod to know where I am going. Moreover, iPods use WiFi signals to determine your location, so I have some sort of GPS capability as I am driving around. Finally, I can always hop onto an open WiFi connection to get internet outside of my home. Given that I work on a college campus, the University of Rochester covers 90% my internet needs. Many large stores (Macy’s, Target, Sears) also offer public WiFi, and coffeeshops have been since forever. Really, the only time I wish I had an iPhone is when I am completely lost, have no clue where I need to go, and am so far removed from civilization that there is Starbucks in sight. In other words, almost never. What do I gain? Well, my new 32GB iPod 5 cost $299. That’s a one time price. I don’t pay anything per month for the iPod to function. Alternatively, I could have purchased the equivalent iPhone for $199 using my scheduled upgrade. However, this requires a two-year contract. These contracts must have a data plan, which is not a part of the standard calling package I use for my junk phone. The cheapest of these plans runs $20 a month, or $480 over the lifetime of the contract. Thus, the real cost of the iPhone is $679. Subtract $299 for my iPod and $15 for the cost of my junk phone, and I save $365 over the two-year span. Your costs may vary based on your phone carrier. (I am on ATT and have a family plan.) Your benefit of having an iPhone may vary as well. Someone who doesn’t have access to WiFi at work like I do (what a miserable life!) might find the extra price worthwhile. Likewise, if you use your iPhone like a serious GPS system, an iPhone might make sense. Nevertheless, when your current contract expires, it is worth investigating whether you are better off with an iPod. TL;DR: Buy an iPod Touch, not an iPhone. 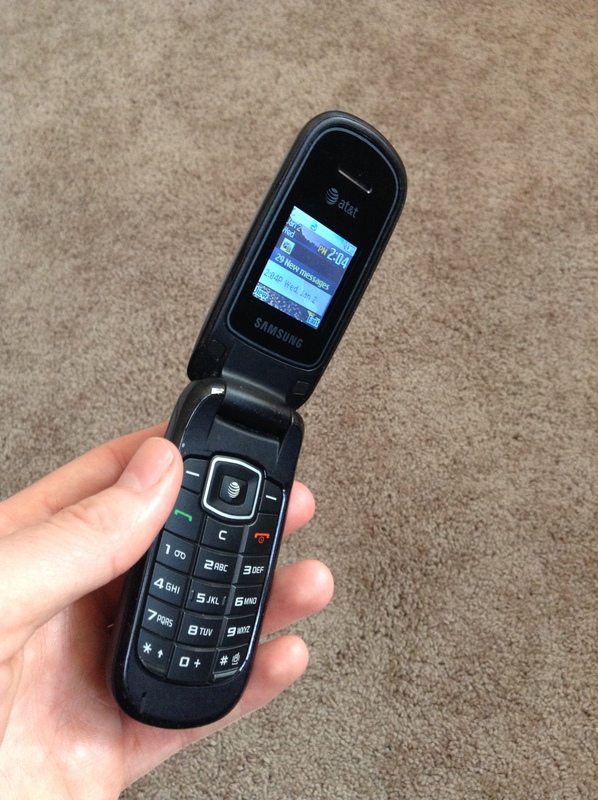 My husband talked me into an iphone and this was what I was kind of thinking before I got it. This just makes so much sense!